Compass Safe & Lock are expert home locksmiths, offering a variety of residential lock services. Whether you need to have your locks re-keyed to a new or existing key, or wish to upgrade your old locks for something more secure and stylish, we can help. In addition to standard lock changes, we also provide a range of services to make your home more secure. We can install child proof protections to protect your loved ones from dangerous situations, and we offer products such as keyless entry to make everyday tasks easier. If you find yourself locked out of your home, we are available 24 hours a day to assist you. Compass safe and lock specializes in the repair or replacement of door locks and hardware. 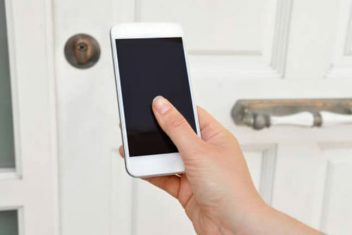 Malfunctioning door locks and deadbolts are more than a nuisance and headache,they create security concerns if they prevent doors from opening, locking and closing. 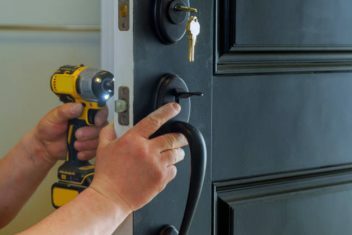 Our locksmiths are fantastic at fixing doors that don’t close or lock properly. 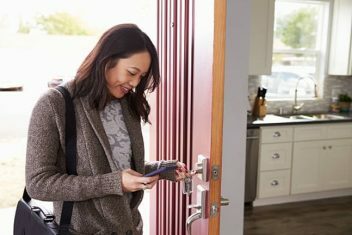 Keyless entry can provide your home with the protection you need while also providing for fast and convenient access for your family and control access for workers and deliveries. Keyless entry provides remote access that prevent family members from being locked out and allows you to control who enters your home and when. It is important to re-key doors so that less people have access to your home. 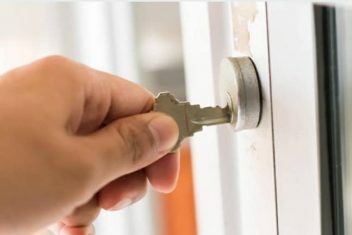 Once your home is re-keyed, you will have the added peace of mind of knowing that previous key users no longer have access. Since we also duplicate keys on site, we can provide you with several keys for other family members as well. Compass Safe & Lock services and installs all major brand names of locks and door hardware.